Baja California Sur, a narrow peninsular separating the Pacific Ocean from the Gulf of Mexico. For many it is the perfect holiday destination, a place to relax on the beach, do some shopping, play golf or hire a boat and go fishing. But for those with a more adventurous spirit can also find a wealth of activities and experiences to get the heart racing and fill your soul with wonder. Rhincodon typus commonly known as the “Whale Shark” is the world’s largest shark and fish. Adult measures up to 41.5 ft long and a weight of about 47,000 lb. Very little is known about these huge and beautifully spotted animals, scientist estimate that they live to around 70 years old and reach adult sexual maturity at around 30 years. It is believed that they give birth to live young, but no one has ever witnessed a birth of a Whale Shark. 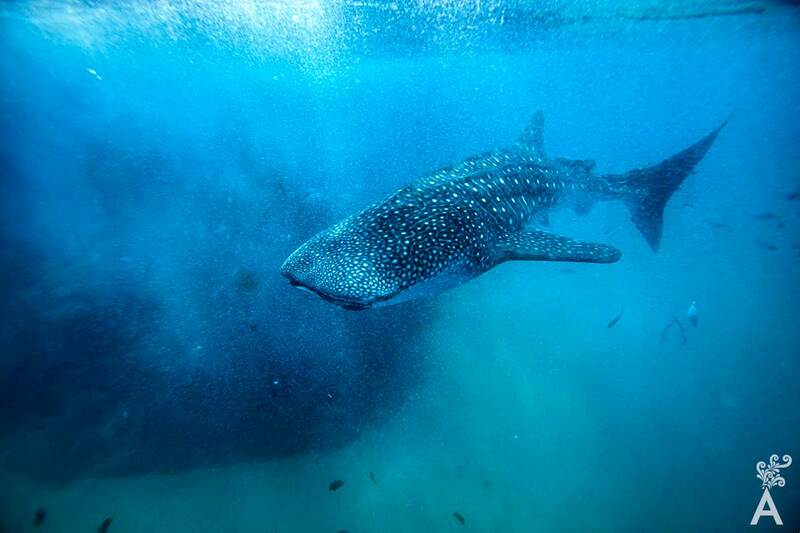 Whale Sharks are considered endangered, they are found in tropical waters throughout the world, but it is in La Paz bay where they migrate to, year after year for seasonal feeding. 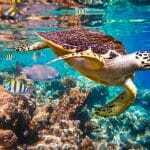 Little is known about these animals once they leave the bay or how many there are in the world. Here is where Jay Gitterns of the Whale Shark Diaries (www.whalesharkdiaries.com) comes in. Jay a British Marine biologist based in La Paz is identifying these gentle sharks from the unique patterns of spots on their backs, so that they can be globally tracked, and accurate numbers of sharks assessed. He does this by swimming with them! If you want to join Jay on a trip to swim with the whale sharks in their natural habitat in La Paz Bay, you will learn about the biology, life history and conservation status of this endangered species whilst directly supporting their conservation. Don’t worry if you don’t know how to scuba dive, these incredible sharks swim near the surface and you can swim close enough to touch them. Imagine the excitement of swimming next a creature whose mouth is 1.5m diameter. In Cabo San Lucas very close to the Arch, there is a spectacular sand falls, discovered by the French underwater explorer Jacques Cousteau. Sand falls is an incredible phenomenon, the sand falls start at 90 ft and descend to 120 ft. Steep sand banks cascade into the canyon. As you float in the eerie silence under the water, the current gently pushing you to and from as you watch sand spill and crash over the rock lip to crash down in to the abyss below in the warm waters of Cabo San Lucas. After viewing this spectacle, you may want to explore a few of the shipwrecks nearby. 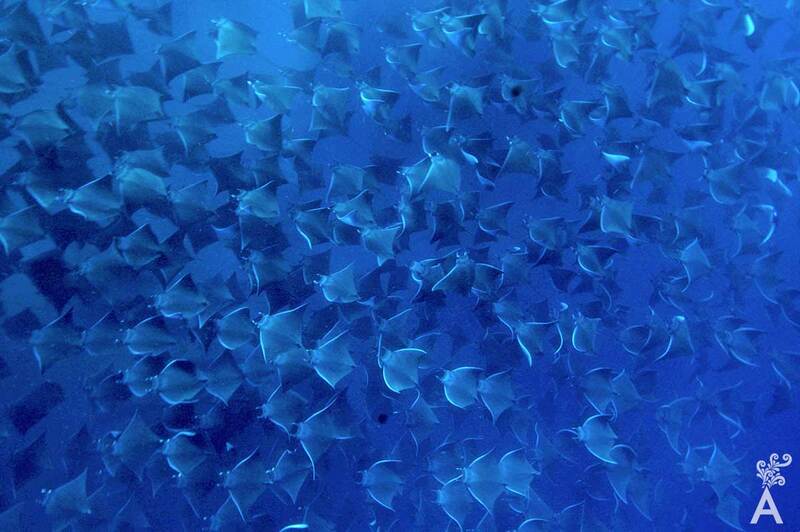 From the marina in Cabo San Lucas you can find many PADI qualified companies. 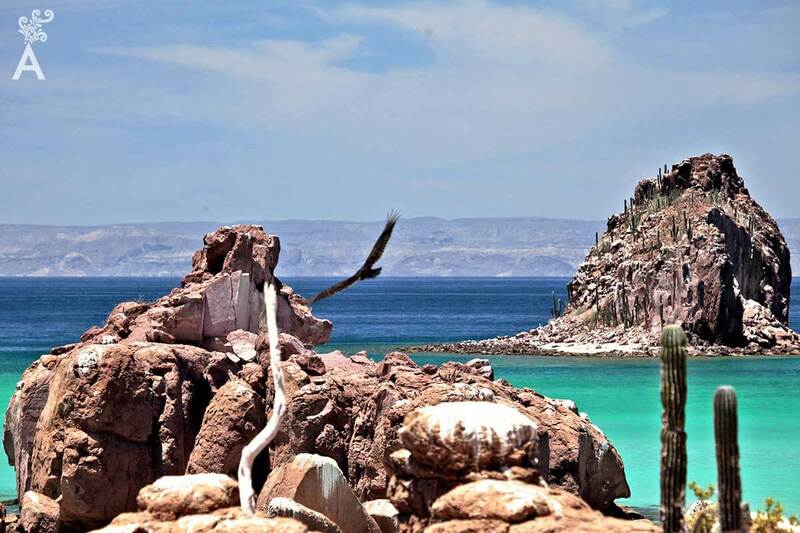 Isla Espiritu Santo is a UNESCO world heritage site and known as the jewel of the Sea of Cortez. The Nature on this island and its coastline is amazing. The islands themselves are barren and desolate places, with less than 1 inch of rain per year. It’s in the sea where you will find a multitude of tropical fish swimming around you, peaceful and tranquil as the name suggests, well maybe, until you reach the party held by the 300 plus sea lions and their families. Sea lions are inquisitive animals, especially the pups who will swim and play with snorkelers. It’s fun to play with a cute young sea lion. They don’t even seem to mind if you try to keep up with them as they chase fish. 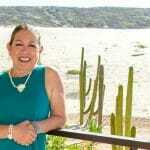 These are just 3 unique activities to Baja California Sur. There are many more; ATV desert racing, Camel rides, Horse riding, Mountain biking through the desert, Skydiving, fly-boarding, zip-lining, Micro-lite flying. The list goes on and on!